How do I assign a lease to a specific unit? 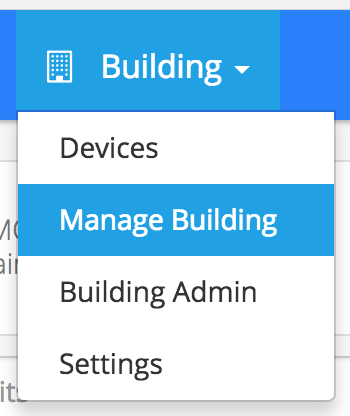 To assign a lease to a unit, click on the Buildings heading, then select Manage Building. 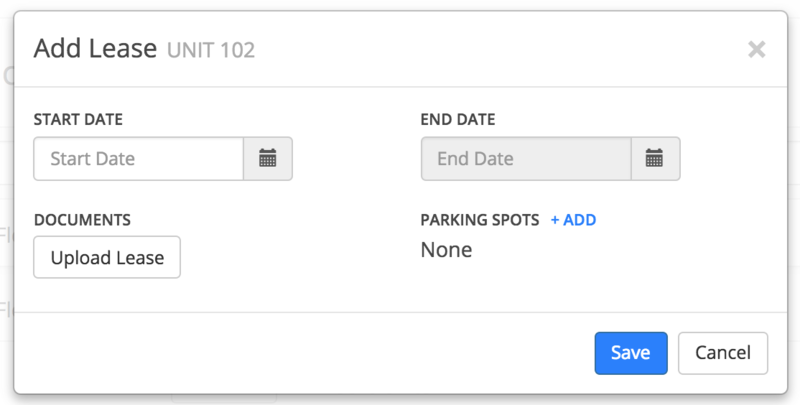 Click on the unit you'd like to add a lease to, then click on the Add Lease button. Fill out all the important information about this lease. To upload digital copies of all lease paperwork, click on the Upload Lease button and select the file to upload. 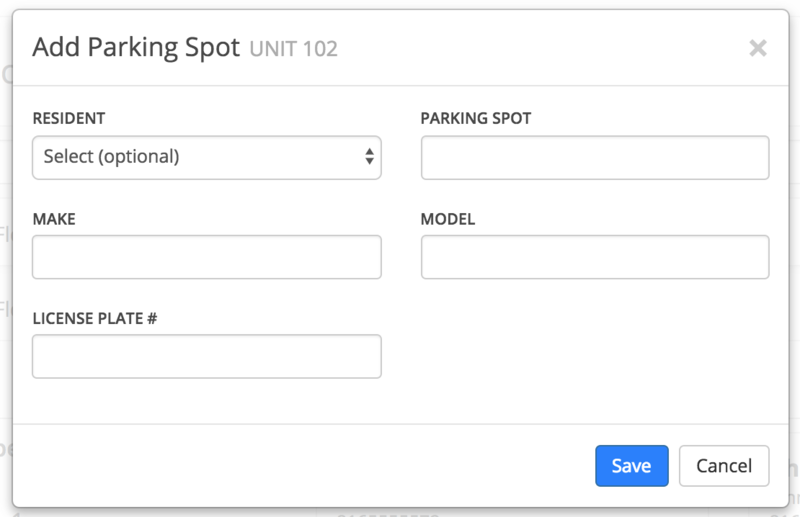 To add parking spots to the lease, click on the +ADD option next to the Parking Spots heading and fill out all required information. When you're done adding all information for this lease, hit the Save button and all information and documentation will be saved.